Gregory is a combination of a wallet and a phonecase. It protects your phone and has room for 8 cards and bills. 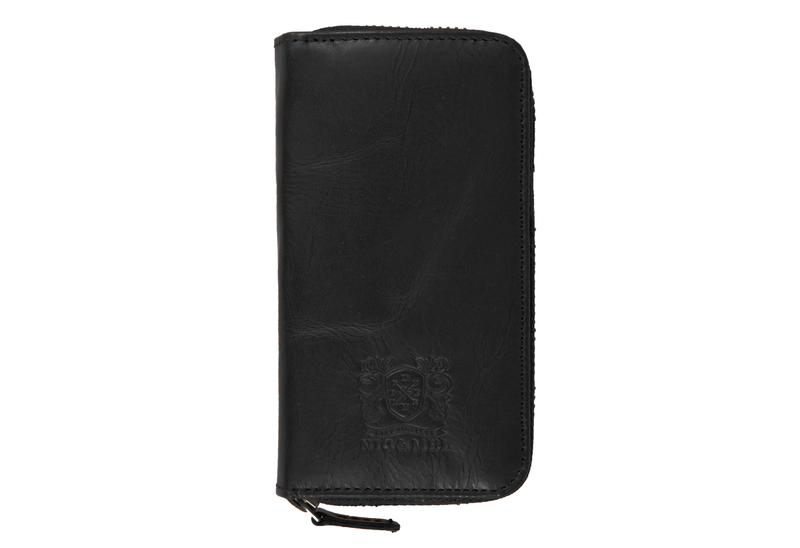 Gregory is an iPhone wallet made of smooth cow leather with a vintage look. 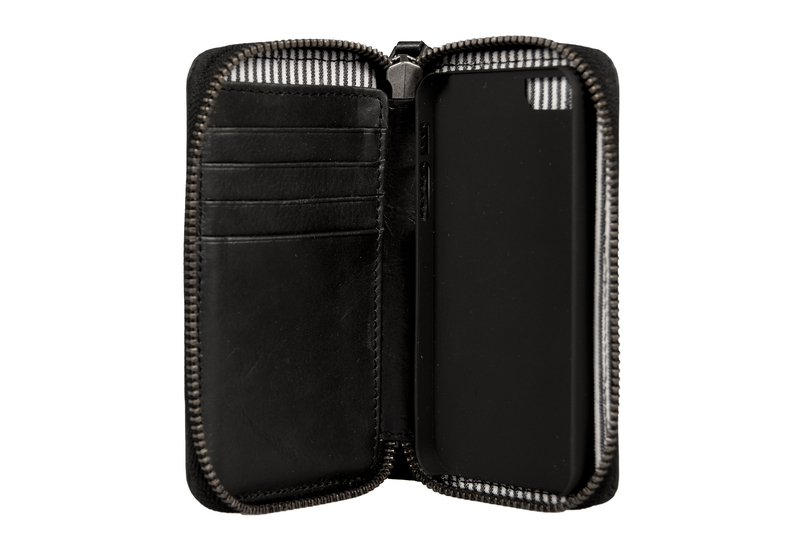 The inside is lined with cotton and has four card slots for up to eight credit cards and one compartment for bills. 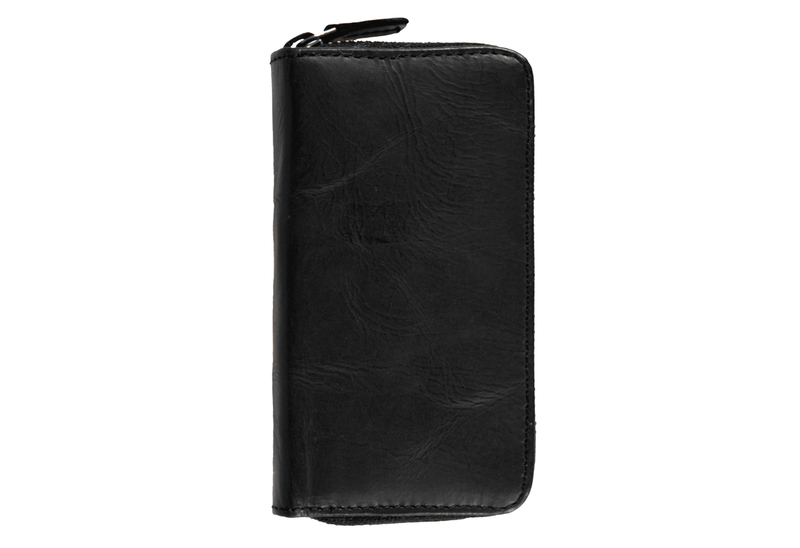 The phone wallet is closed with a metal zipper so all things stays safely inside. 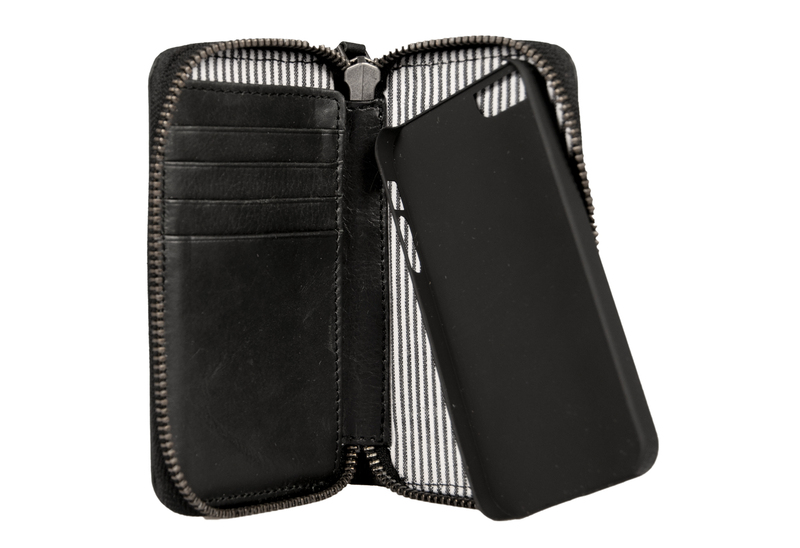 The iPhone holder is magnetic and removable, you can use it with or without the leather cover.